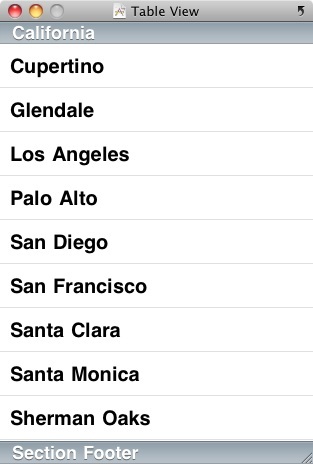 For the purposes of this chapter we will be creating a very simple iOS 4 iPhone application that contains a single Table View. 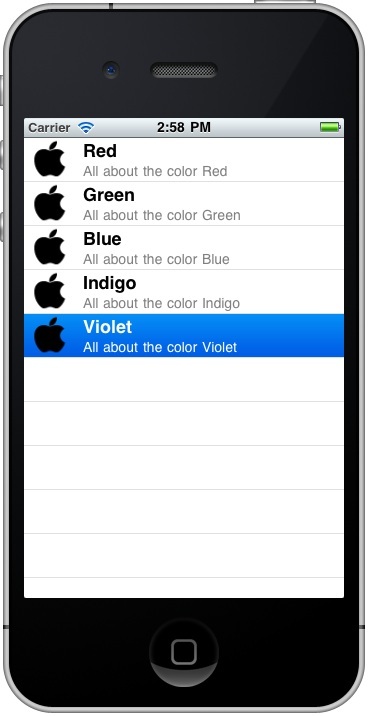 Begin by launching Xcode and selecting the option to Create a new Xcode Project. 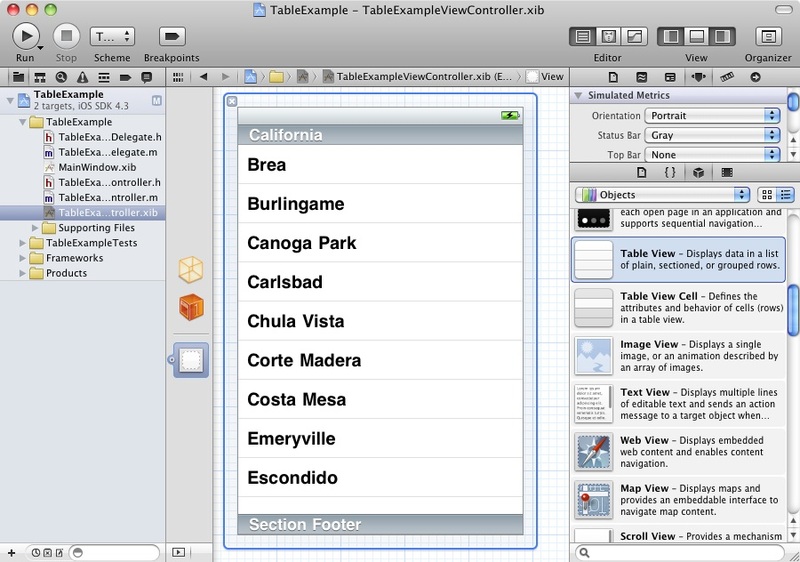 Select the View-based application, make sure that the Device Family selection is set to iPhone and name the project TableExample. Once the connection is established, repeat this task to connect the delegate outlet to the File’s Owner. 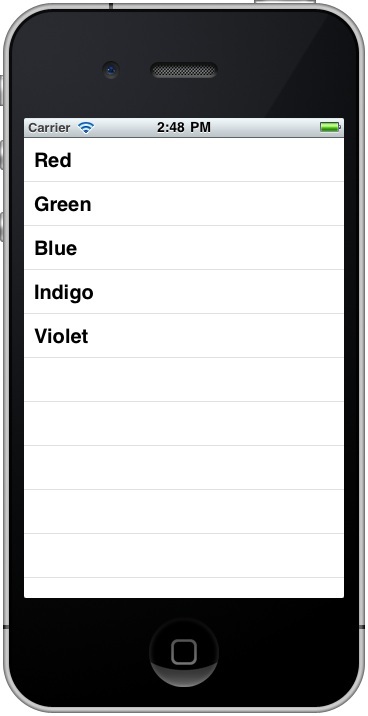 Note the references to UITableViewDelegate and UITableViewDataSource in the above code. These are included to notify the Objective-C compiler that the class implements these two protocols. Consequently, if we fail to implement the mandatory methods required by these protocols the compiler will notify us with a warning. If this line is omitted from the class declaration the code will still compile, but we will not be warned if we have failed to implement any methods. The only indication we will get will be the application crashing at run time. For this reason, including these declarations is generally considered to be good programming practice. Now that we have created a simple table view example we can look at extending our code to change the cell style. In so doing we will make use of the image and detailed text properties of the cell object to add images and subtitles to each row of the view. The first step is to add an image to the resources of our project. If you already have an image file that is suitable for this purpose feel free to use it in this example. Alternatively, we can pick up an image from the Mac OS X system on which Xcode is running (for example, a search for apple.png in a Finder window will provide a good example file). To add an image file to the application resources, locate the image file in a Finder window and then drag and drop it onto the Supporting Files item in the Xcode project navigator panel. In the resulting configuration window accept the default settings.